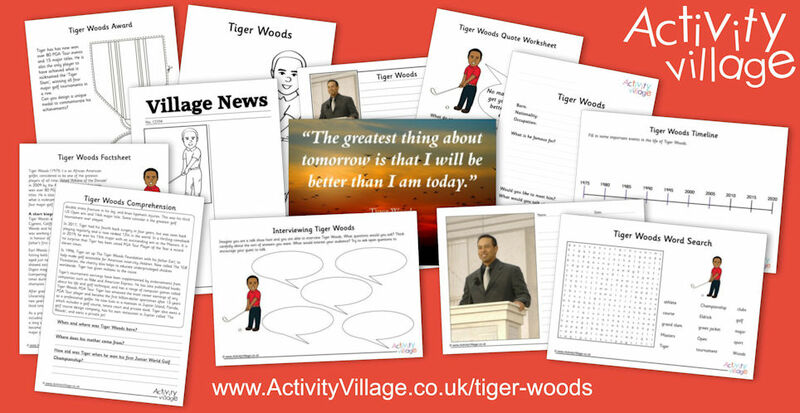 If your kids are golf or sports fans, they will almost certainly have noticed the amazing comeback of Tiger Woods to win the Augusta Masters on Sunday 14th April! Tiger has won so many tournaments and broken so many records over his golf career it is hard to keep track! Read our short biography, written specially for kids, and enjoy our new collection of printable resources on this fabulous golfer.